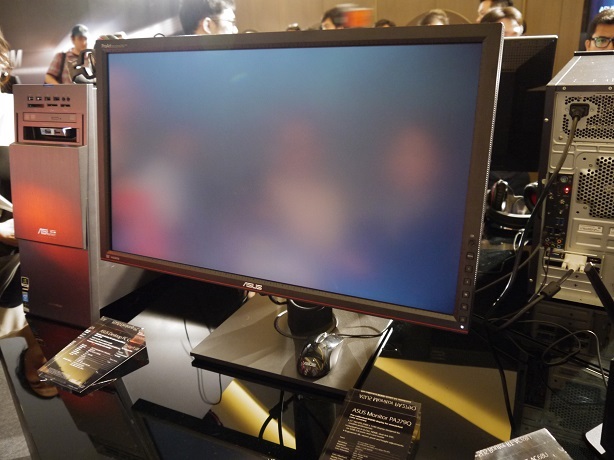 Asus has taken the wraps off a wide range of new products at Computex 2013, with everything from the latest overclocking motherboards to shiny new super-slim laptops... and a new professional-grade monitor. 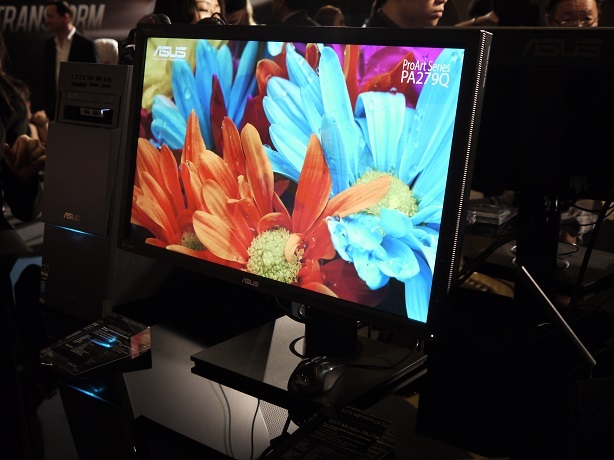 The Asus Monitor PA279Q is a fully articulated 27in display that comes pre-calibrated for accurate colours right out of the box. 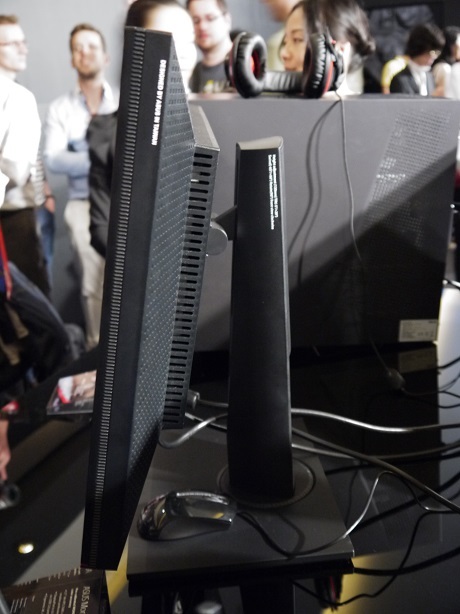 In a crowded room with glaring lights, it's impossible to judge a monitor to any great degree but it was immediately evident that the matt-finish, 2,560 x 1,440 pixel IPS panel is a high-quality one with excellent viewing angles and rich colours. Rated at 350cd/m2 the panel is backlit by white LEDs and also boasts 99% Adobe RGB colour gamut coverage as well as 100% sRGB and 120% NTSC. It's also a 10-bit panel able to produce 1073.3million colours and has '6-axis' colour adjustment (R,B,G,C,M,Y). 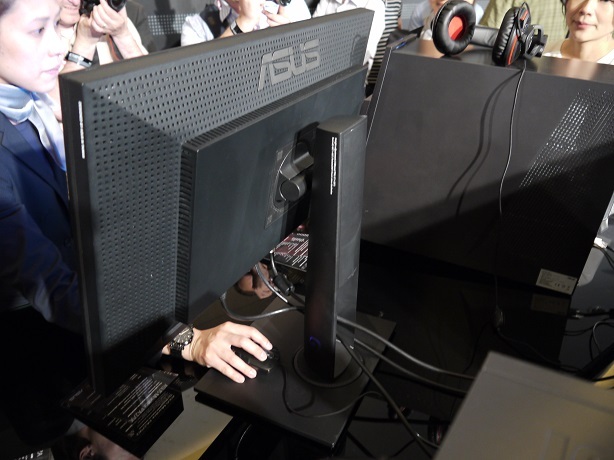 The tilt, rotate, swivel and height-adjustable monitor is, as with most professional grade models, fairly chunky but is otherwise smart looking and with as minimal a footprint as one could realistically expect. We're not so sure about the red flash that runs along the bottom bezel but nonetheless there looks like being a lot to like here. Also featured are picture-in-picture and picture-by-picture, while extras include a USB 3.0 hub, SD card reader and, somewhat bizarrely, stereo speakers. We're yet to determine a price or release date for the PA279Q. Kickstarter bid for open-hardware Ambilight.